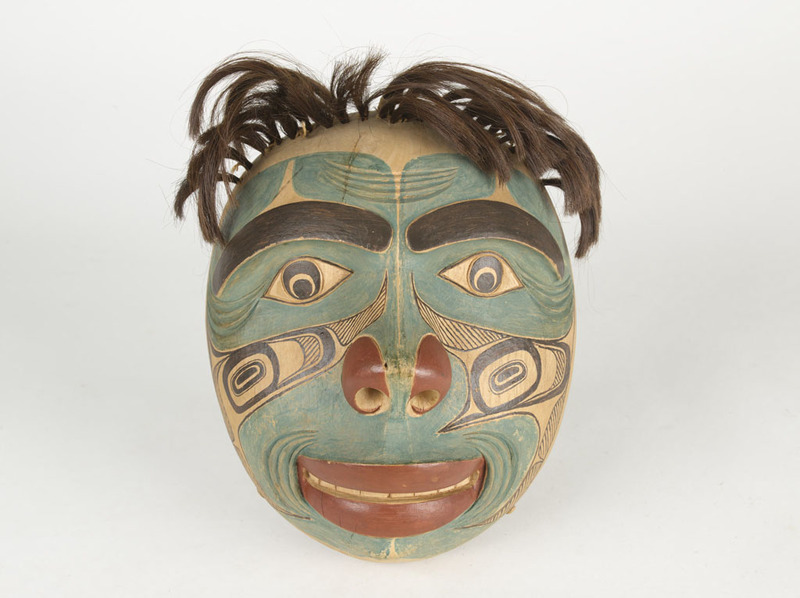 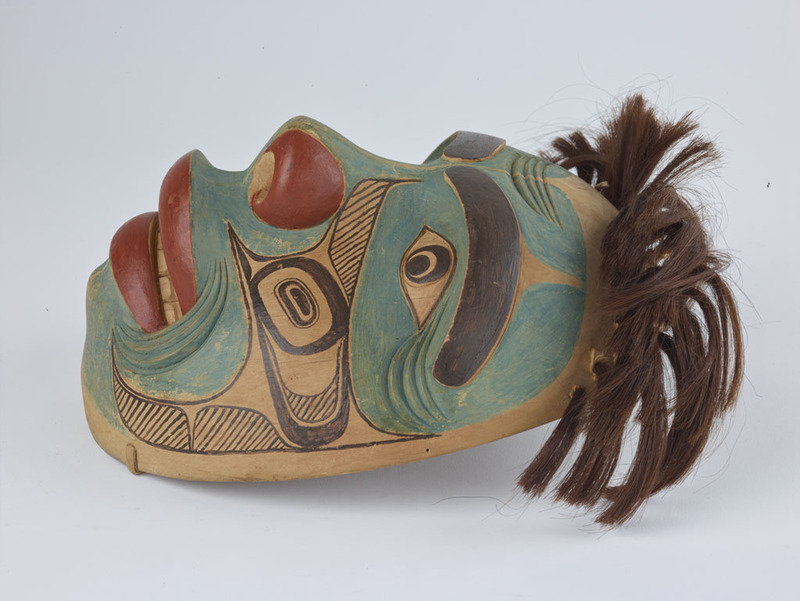 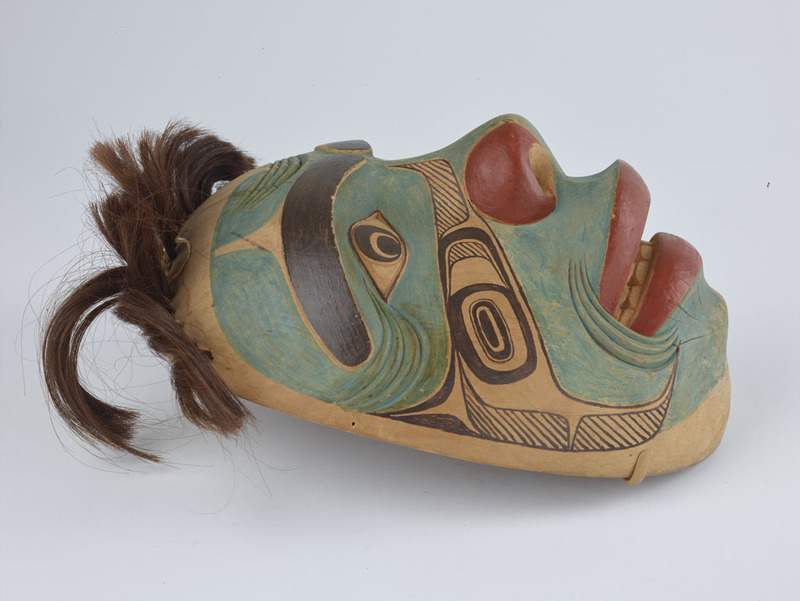 One of only two known masks by the great Haida artist Charles Edenshaw (ca.1839-1920) represents a gagiit, someone who has barely escaped drowning and has lost his/her mind. 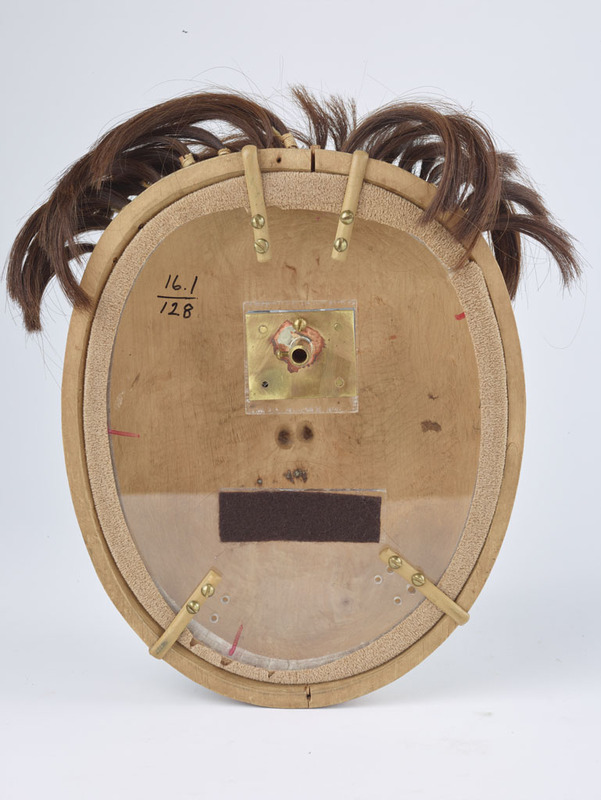 John Swanton purchased the mask for AMNH from Henry Edenshaw (a relative of Charles) in 1905. 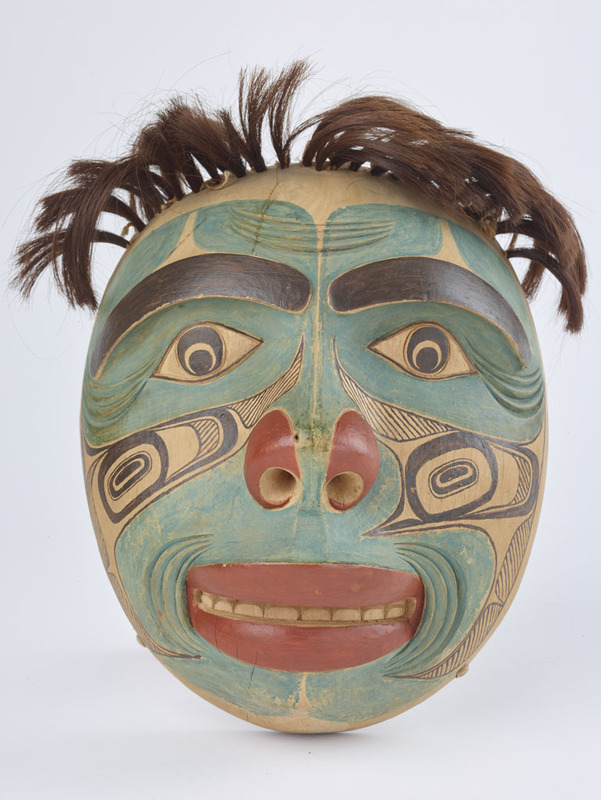 This mask has been exhibited and published numerous times and is on permanent display in the Northwest Coast Hall.